So, you just copied a few dozen photos of your son’s 8th birthday party to your MacBook, and now you want to have the family gather around to relive this jovial event. A photo slideshow would be best, but you don’t have iPhoto or any other photo apps installed. What to do? 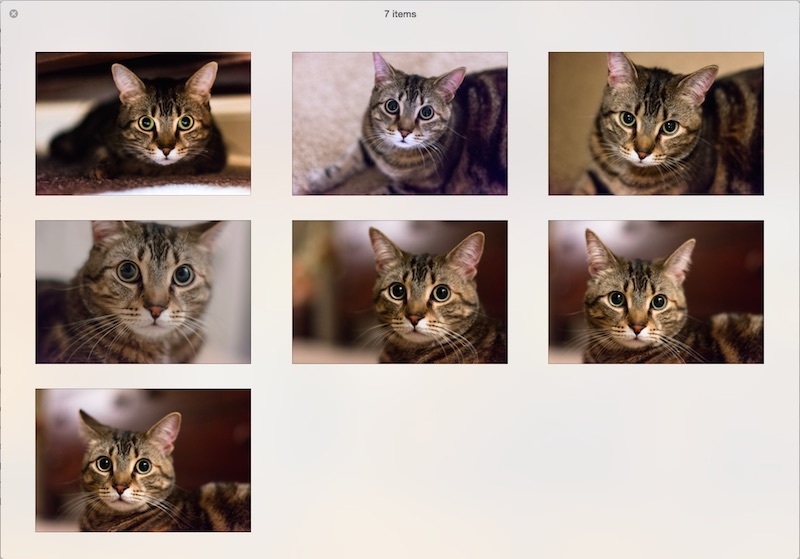 By using the Quick Look feature in OS X in conjunction with Finder, you can quickly launch a photo slideshow. Now, this might be one of those tips that some Mac users will yawn at, and that’s because it’s so incredibly simple. But, if you don’t know it, well, you don’t know it. Of course, if you only want to select a few photos instead of all photos, you can do that too. While viewing the slideshow, you can use the left/right arrow keys to move from photo to photo, or use the “<” and “>” buttons on the top left. Just to the right of the left/right buttons is another button that will show you all the photos in thumbnail view, which allows you to easily skip around. 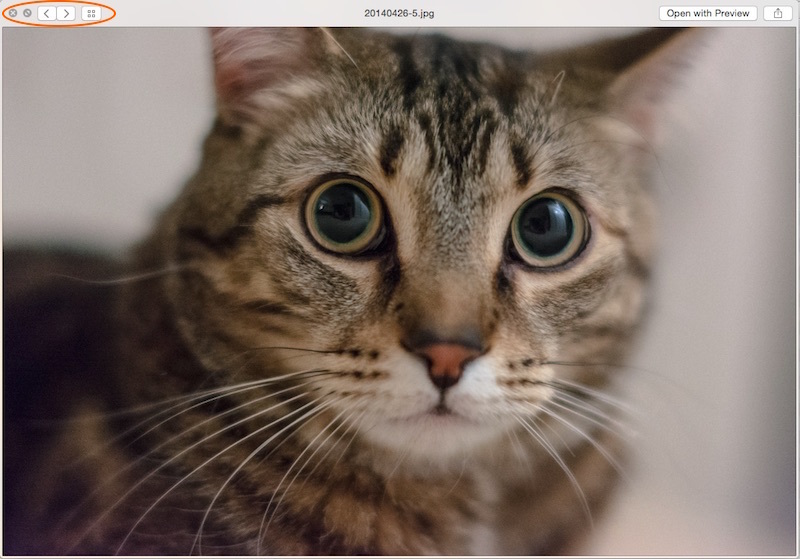 Just to the left of the left/right buttons is a tiny button that allows you to display the slideshow full-screen. 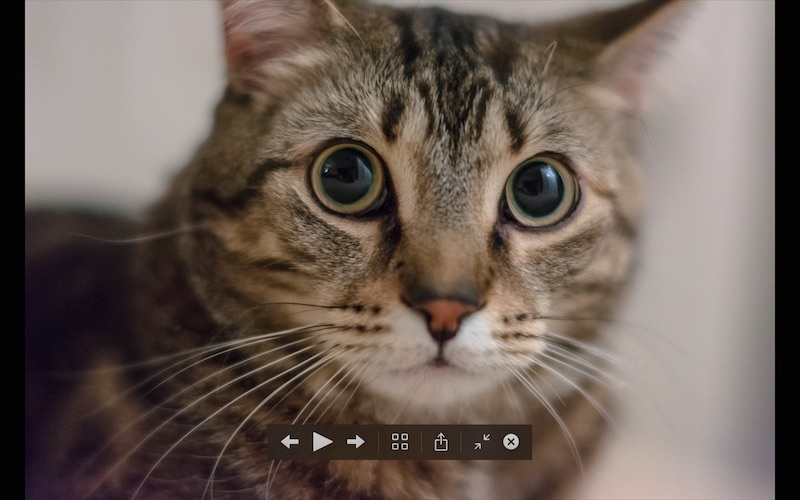 When viewing a full-screen slideshow, these buttons are available in a pop-up toolbar that hovers over the image near the bottom of the screen (when moving the mouse cursor). Also when in full-screen, a “Play” button is revealed.